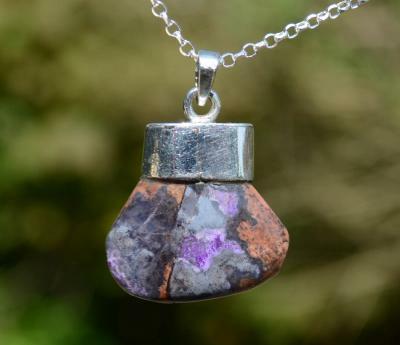 "The energy of sugilite flows from the crown to the base chakra, opening the chakras and providing a pathway for the movement of the Kundalini. It is wonderful to carry or wear - it gives one a feeling of being free; it infuses the being with inspiration and confidence. The insights are astonishing when meditating with sugilite.” Melody, Love is in the Earth.